This was the first day of sighting the Great Blue heron nest as the male landed above the nest and the female was sitting on the eggs. 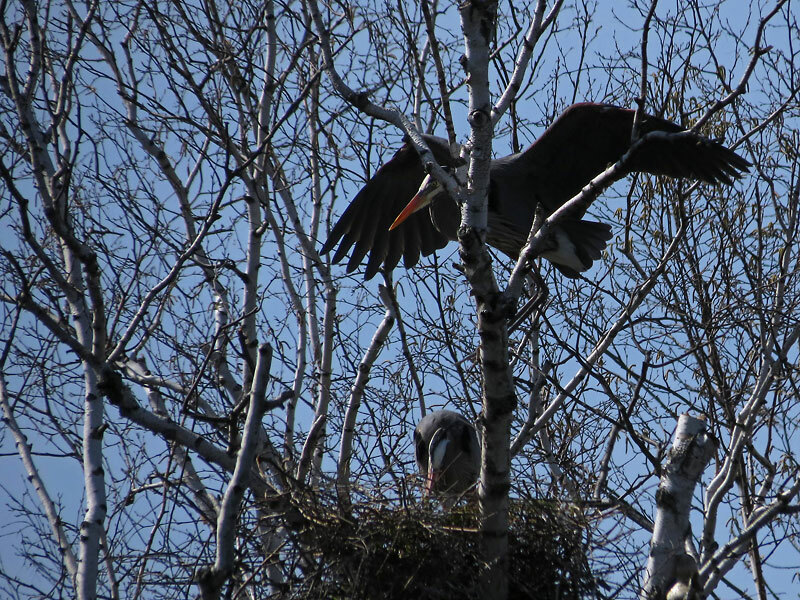 On 4-3-2012 I got a sightings report that there was a Great Blue Heron Nest in Greenfield Park in West Allis, Wisconsin. The next day I went there to see if I could find the nest, and after asking several persons it was found in a tree on an island in the park pond. Since then I have followed and photographed the progress of the nesting period. You can see the photograph history by selecting the link below. I will add photos as the nesting process continues. The Great Blue Heron can be seen from south Canada to Mexico. The Great Blue Heron is a slender gray bird about 4 ft tall with white about the head, long legs, long flexible neck, and dagger-like bill. It can be found from southern Canada to Mexico. It has habitats in marshes, swamps, ponds, lakes, shores, and tidelands. The Heron eats fish, frogs, crawfish, and mice and insects. This Great Blue Heron was photographed on a small farm outside of Marshfield, Missouri. 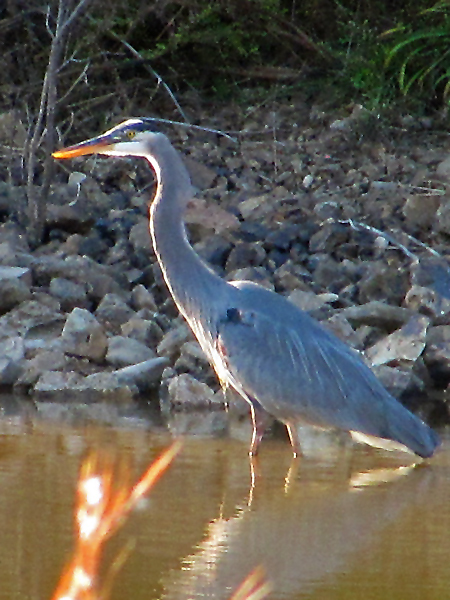 Select this link to see the farm area where the Great Blue Heron was photographed.